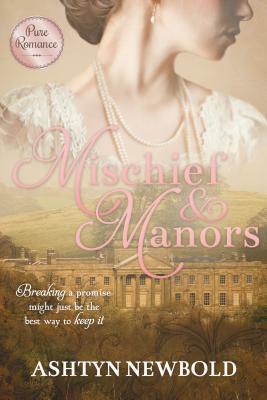 Mischief and Manors by Ashtyn Newbold. Audience/Genre: Historical Fiction, Clean Read. Publication: December 1st 2016 by Sweetwater Books. LOVE LOVE LOVE this book!! It is on my favorites list now! I thought I would read a chapter or two before I went to bed and ended up reading it till the very end as who needed sleep while reading this!!?! I didn’t even highlight anything because I couldn’t stop to do it! The book had me spellbound! The writing is incredible. Every word made me feel as if I was Annette Downing and I found my heart hammering a few times with her. The scenes were so eloquent and descriptive that I could see every scene in my head! The emotions were palpable. The characters either loveable or a foe. I laughed a lot too! The mischief was utterly too cute! Ugh, I cannot express how good it was! It is one of those books that you can’t get out of your head even days later! Annette is a kind person. She is taking care of her two young brothers at her aunt’s house after her parents died. Her aunt is very cruel. Her brothers get into too much mischief and their aunt doesn’t like them or the mischief at all. So she sends them off to fix the mischief or they will go to an orphanage. 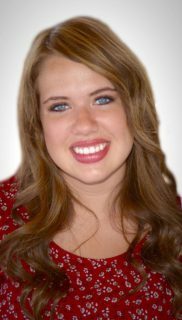 She sends them to her parent’s friend’s home where her parents were last before they died. This is also a place Annette remembers fondly and where a young boy had some mischief with her and a tree that didn’t end well with her. This boy is now a grown man and is Dr Owen Kellaway. He still has a lot of mischief in him. He makes it hard not to like him. He is caring, funny and very perceptive! Annette and Owen have an instant attraction. But Annette has had her heart locked and her tears imprisoned since her parents died with a promise to take care of her brothers. She had no time or place for love because she didn’t think there would be room for love for the boys as well by a man. Owen has a way of wiggling the truth out of Annette and seems to know her heart well. He knows when to give her space but always comes back to her. He is the best of men for sure! Anyway, he is charged with teaching the boys how to be gentlemen. He is very good at it and the boys become well behaved. As all this is happening, Annette believes that he isn’t falling in love with her. She also doesn’t understand what her own heart is feeling. She chastises her heart often to remember its promise. Of course, we always have to have another women vying for him. That does crazy things to Annette! I love the ending, it is adorable or an “a” word anyway! You have to read it to know what it is! I love the little lessons throughout! I love the mystery that was also in the book! I love the questions posed at the end to make you think even more! I thought it was funny and I had to cover my mouth several times and my heart too during parts of the book! I loved that the author made me shed a few tears too! I will be reading it again and again! I wanted to read it again right away but I had other books to review. Insert sad pout! Hi, I do think this is a great blog. I stumbledupon it �� I may return once again since i have bookmarked it. Money and freedom is the greatest way to change, may you be rich and continue to help other people….